Dr. Li's lab studies the structural and molecular basis of human diseases including virus infections, cancer, and abnormal blood pressure. Their main line of research examines the invasion mechanisms of viruses.The lab investigate's the structures and functions of virus-surface proteins that mediate receptor recognition and cell entry of viruses (references 1 and 2). Their other line of research explores the structural and molecular basis for cancer and abnormal blood pressure. Specifically, investigating the structures and functions of mammalian-cell-surface enzymes that are critical for tumor cell growth and blood pressure regulation. Based on these structural and functional studies, the lab further develops novel therapy strategies to treat human diseases. 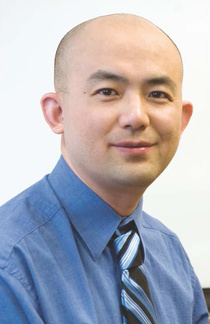 Dr.Li's lab research tools include X-ray crystallography, cryo-electron microscopy, protein biochemistry, molecular virology, and vaccine and drug designs. We study the structural biology of human diseases including virus infections, cancer, and abnormal blood pressure. One line of research examines the receptor recognition mechanisms of viruses. We investigate the structures and functions of virus-surface receptor-binding proteins and their interactions with host receptors. A second line of research explores the structural basis for cancer and abnormal blood pressure. Specifically, we investigate the structures and functions of mammalian-cell-surface enzymes that are critical for tumor cell growth and blood pressure regulation. Based on these structural studies, we further develop novel therapy strategies to treat human diseases. Our research tools include X-ray crystallography, protein biochemistry, molecular virology, cell biology, drug design, and animal experiments.